The new KONA 5 simplifies 4K/UltraHD, HFR, deep color and HDR workflows with next-gen desktop video and audio I/O connectivity. AJA revealed its next generation in KONA series of I/O cards with version 5. The KONA 5 is an 8-lane PCIe 3.0 video and audio I/O card that supports 12G-SDI I/O and HDMI 2.0 monitoring/output for workstations or Thunderbolt 3-connected chassis. KONA 5 facilitates single-cable 4K/UltraHD and HD high frame rates, deep color and HDR workflows. Developers can use AJA's SDK to create multi-channel 12G-SDI I/O for multiple 4K streams of input or output. Compatibility with Adobe Premiere Pro, Apple Final Cut Pro X, Avid Media Composer, Telestream Wirecast, AJA Control Room and more. Also on stand at IBC 2018 is AJA's latest desktop software v15 for KONA, Io and T-Tap. 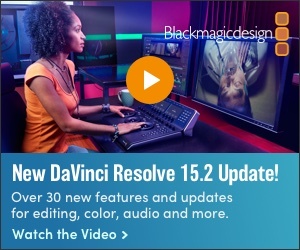 The latest v15 desktop software brings the power of KONA 5 to creative applications from Adobe, Apple, Avid and others. The release also includes new AJA Control Room full-screen playback and host system audio monitoring. KONA HDMI customers can now use the system audio output and full screen playback to monitor audio and picture from incoming HDMI sources without the need for a separate output device. KONA 5 is AJA’s newest 8-lane PCIe 3.0 I/O card, which supports 4K resolution and workflows. Media assets may now also be previewed in AJA Control Room using a computer monitor and speakers, without AJA hardware attached. This enables the use of free macOS, Windows, or Linux applications as a stand-alone professional software player for high-quality media up to 4K resolution. Other new features include per-port audio input channel settings for switching and multi-channel capture workflows, and numerous KONA, Io and T-TAP product enhancements.